The cult graphic novel 2 Guns has recently been adapted to a hit Hollywood movie starring Denzel Washington and Mark Wahlberg. 2 Guns tells the tale of two undercover cops and the situations they get caught up in with various drug lords and money launderers. Featuring top talent including Bill Paxton, James Marsden and Edward James Olmos, 2 Guns opened to rave reviews in the cinema and is now coming to DVD and Blu-ray on 9 December. We caught up with Steve Grant, the writer of the original comic book crime series, to find out his opinions on taking the series to the big screen and his future plans for the franchise. 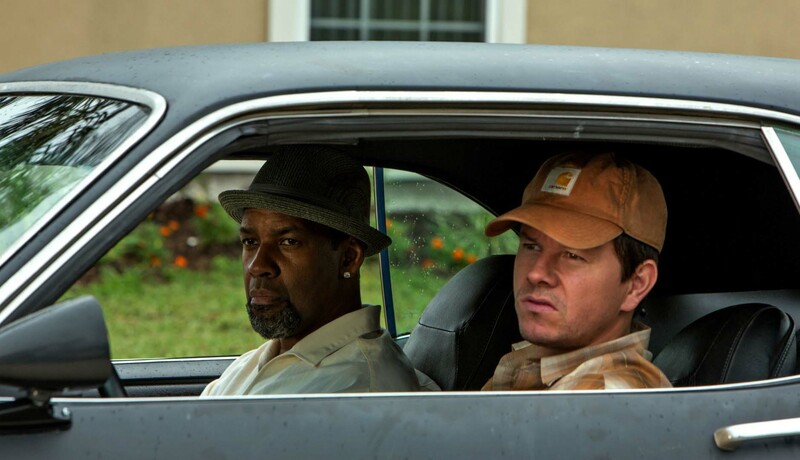 How did you feel about 2 Guns being adapted to a movie? I’m down with it, man. Give me more! Do you think it helps that 2 Guns is more of a cult series and not mainstream, meaning less potential backlash? If by “cult series” you mean “largely ignored by the comics audience,” yes, it didn’t hurt. A lot of comics fans have told me they had no idea it was originally a comic until they saw the credit in the film. That’s considerably less expectation than Man Of Steel faced. But hopefully many of them subsequently bought the graphic novel. 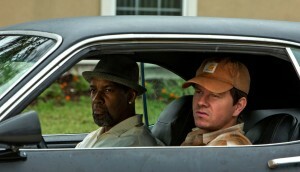 What is it about 2 Guns that sets it apart from other series? I had a specific take on it. I wasn’t trying to be anything else. It’s very specifically an extension of my personality and worldview; I don’t know whether that makes it better or worse than other series, but it does set it apart. Far too many comics really try to be some other comic or movie or TV show rather than find their own voice. If you’re not willing to put your own voice into it, what good is it? What do you feel the benefits are of graphic novels/comic books as a medium compared to movies/TV? Overall they’re more personal, if they’re not being micromanaged by an editor or publisher. You can create a comic, including publication, for a few grand. It’s hard to create a watchable movie or TV show for a few hundred grand. If they want it, comics creators can have virtually complete control over the medium and the content. They’re only limited by their own imaginations and talent. Movies and TV create a lot of people to answer to, and in a lot of cases every one of them thinks they deserve input into your story. If you can withstand pressure from a handful of people in comics, your story can easily stay your story and you can succeed or fail on your own terms. In film and TV, unless you have a guardian angel who’s willing to fight for your vision, it can’t stay your story because the process makes it everyone’s story. Fortunately, on 2 Guns (both book and film) I had several guardian angels. I got very lucky. Have you noticed the success of the movie encouraging people to look at the source material? I’ve heard rumours of it. People have told me they’re going to. I haven’t seen any royalty statements that back it up yet, but it’s always nice to have something to look forward to. Could you tell us a bit about the follow up 3 Guns? Are there plans to eventually have an on-screen sequel too? There’s interest. It’s a bit premature to say there are plans. That decision will be made sometime after the final issue of 3 Guns in published. But I know Ross Richie is out there fighting for one, and most of the people involved with 2 Guns would like to make 3 Guns, all things being equal. What studio accountants think of the idea I haven’t a clue, and it always comes down to them. 3 Guns takes place a couple years after 2 Guns, Bobby and Marcus haven’t seen each other in that time and neither officially has a job anymore though they’ve managed not to wind up in prison. They both surface on the Olympic Peninsula to unexpectedly find each other on opposite sides of an international gun-running deal. The last time neither knew the other was an undercover cop and that was a source of tension and distrust between them. This time both of them know the other can’t be an undercover cop and that really sews distrust and discord because they suspect each other of going native, eliminating all basis of trust between them. Complicating matters is another undercover cop, the titular third gun, who only knows them by their criminal identities and has no idea of their true histories, and gets them tangled up with a covert spy operation. Hilarity ensues. 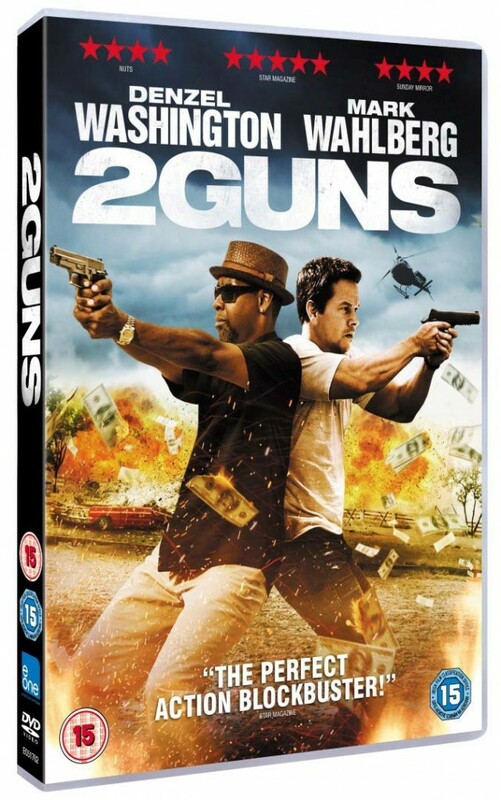 2 Guns is on DVD & Blu-ray on 9 December and can be pre-ordered from Amazon here. The original graphic novel is available from Boom! Studios.